Taurus Horoscope for July 2019. 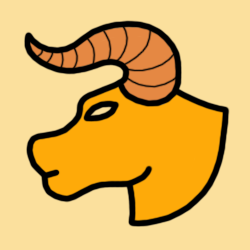 Taurus horoscope for the month of July 2019 reveals contacts, communications, short trips, cheerful, siblings, neighbours, personal discussions, nostalgia, domestic activities, emotional issues. For Taurus, July 2019 is also a month of new approach for environment and learnings, surprises surrounding personal faith or travel. The Sun this month continues to illuminate your communications, curiosity, problem-solving ability, and your immediate environment - until 23rd July, after which the Sun seeks to spotlight your feeling of belonging, family, home, property concerns, roots, and heritage - for the rest of the month. Venus this month continues to enhance your financial security and enjoyment of good things in life, making you feel comfortable and secure - until 3rd July, after which Venus seeks to cheer you into a more light-hearted, curious, and intellectual approach to love and pleasure - until 28th July, after which Venus seeks to calm you into a receptive, gentle, and sensitive self on a romantic level, making you especially fond of the life of the home and family - for the rest of the month. Mercury this month continues to make your memory more retentive than usual, and your thoughts often turn to personal matters, family, and loved ones - until 19th July, after which Mercury seeks to make you especially inquisitive, multi-tasking successfully with various, even scattered, interests - for the rest of the month. However, take time to reflect and review while Mercury is retrograde this month from 7th July to 1st August. Mars this month continues to stimulate you with many ideas and plans, making you communicate in a more direct, assertive, self-centered, or provocative manner - until 1st July, after which Mars seeks to animate you with more instinctive energy for domestic activities, making you defensive and protective - for the rest of the month. Solar Eclipse on 2nd July marks a new beginning or revised approach towards your communications, projects, learning, or self-expression; while the Lunar Eclipse on 16th July brings into light surprises or disclosures surrounding personal philosophy, faith, travel, and the higher mind. Also, Mercury is retrograde from 7th July to 1st August, when you might tend to be judgemental towards family members - perhaps frustrated with activities surrounding home and property. The Sun this month continues to drive your focus on material affairs, comfort issues, and accumulating possessions - until 2nd July, after which the Sun seeks to illuminate your communications, curiosity, problem-solving ability, and your immediate environment - for the rest of the month. Venus this month continues to enhance your financial security and enjoyment of good things in life, making you feel comfortable and secure - until 11th July, after which Venus seeks to cheer you into a more light-hearted, curious, and intellectual approach to love and pleasure - for the rest of the month. Mercury this month continues to make you especially inquisitive, multi-tasking successfully with various, even scattered, interests - throughout the month. However, take time to reflect and review while Mercury is retrograde this month from 7th July to 1st August. Mars this month continues to stimulate you with many ideas and plans, making you communicate in a more direct, assertive, self-centered, or provocative manner - until 17th July, after which Mars seeks to animate you with more instinctive energy for domestic activities, making you defensive and protective - for the rest of the month. Solar Eclipse on 2nd July marks a new beginning or revised approach towards your communications, projects, learning, or self-expression; while the Lunar Eclipse on 16th July brings into light surprises or disclosures surrounding personal philosophy, faith, travel, and the higher mind. Also, Mercury is retrograde from 7th July to 1st August, when you might face problems with communications and transportations - perhaps people may be misunderstanding your words. The Sun this month continues to drive your focus on material affairs, comfort issues, and accumulating possessions - until 12th July, after which the Sun seeks to illuminate your communications, curiosity, problem-solving ability, and your immediate environment - for the rest of the month. Venus this month continues to enhance your financial security and enjoyment of good things in life, making you feel comfortable and secure - until 19th July, after which Venus seeks to cheer you into a more light-hearted, curious, and intellectual approach to love and pleasure - for the rest of the month. Solar Eclipse on 2nd July marks a new beginning or revised approach towards handling money and personal resources, or new sources of income; while the Lunar Eclipse on 16th July brings into light surprises or disclosures surrounding personal philosophy, faith, travel, and the higher mind. Also, Mercury is retrograde from 7th July to 1st August, when you might face problems with communications and transportations - perhaps people may be misunderstanding your words. Regarding monthly horoscope forecasts for July 2019, that is all for Taurus. You may also read our 2019 Taurus Yearly Horoscope Predictions to refer the overall scheme of astrological influences.